INCREDIBLE OFFICE CHAIR VALUES FOR DES MOINES! Are you in the Des Moines area and are looking for office seating? Instockchairs.com can help! We stock 1000's of office chairs, ergonomic chairs, conference chairs and more – all at amazing, budget friendly prices! 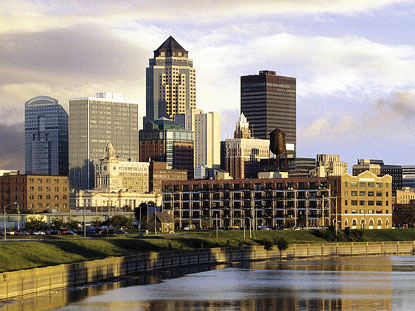 We ship to all sorts of Iowa businesses including airports, medical centers, law offices, marketing firms, medical offices, eye clinics, schools, churches, government facilities and more! Our low prices make it easy for businesses and institutions to outfit their offices with brand new, quality-built office chairs. – Price Breaks Available! Many of our office chairs have prices breaks for buying quantities. – Shipping is free! Yes, that is your FINAL PRICE you are looking at! Ground shipping is always free! – Purchase orders accepted! We also accept all forms of credit card and PayPal! Most orders are shipped out the same day as the order is placed! Chairs arrive in just a couple days. Place your order online 24 hours a day or call our customer service/sales staff to place your order, ask questions or request a quote at 1-800-443-5117.